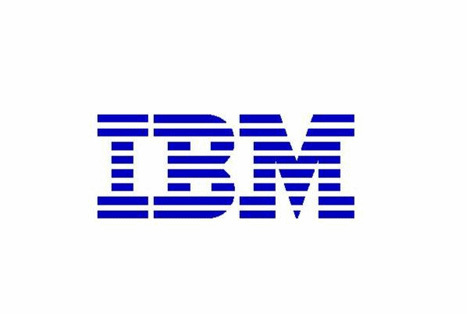 Armonk, NY – March 5, 2014: IBM (NYSE: IBM) today announced it has deployed a business-to-business (B2B) cloud-based network that will help transform the Indian automotive industry by accelerating the movement of data and reducing transaction costs by up to 80 percent. The new exchange – AutoDX – was developed in partnership with the Society of Indian Automobile Manufacturers (SIAM) and the Automotive Components Manufacturers Association (ACMA), the two leading industry bodies in the Indian automotive industry. Until now, Indian auto manufacturers and parts suppliers have relied on manual processes to exchange transactional data, including the tens of thousands of invoices, purchase orders and shipping notices created each day. This manual approach was prone to human error, extensive transaction delays and increased processing costs. The new exchange – which is built on IBM Sterling B2B Collaboration Network technology – will eliminate these inefficiencies by standardizing, automating and accelerating the exchange of transactional data through the cloud. This will enable members to drive faster, more accurate processing at reduced operational cost, helping ensure the right products are delivered to the right customers at the right time. Representing over 750 of India’s top auto manufacturers and parts suppliers, ACMA and SIAM expect the majority of its members to adopt the platform by the end of the year, making IBM the prevailing provider for Electronic Data Interchange in India for the auto industry. Leading auto OEMs and suppliers have already integrated AutoDX into their processes, including Tata Motors, Hero MotoCorp, SSS Springs and Sundram Fasteners. The platform benefits will also be extended via the cloud to trading partners, logistics providers, banks and other entities that interact with Indian auto OEMs and suppliers on a regular basis. IBM worked closely with ACMA and SIAM to develop common standards specifically for the Indian auto industry to help it prosper and compete on a global scale. By deploying the exchange in the cloud, auto manufacturers and suppliers can quickly and easily adopt these standards while enabling the network to scale over time. The cloud also opens additional connections for the India auto industry to over 160,000 organizations around the world that already use IBM Sterling B2B Collaboration Network – which processes over 1.9 billion transactions per year and sits at the heart of AutoDX. The IBM Sterling B2B Collaboration Network is one of more than 100 software-as-a-service (SaaS) offerings from IBM enabling supply chain, marketing, procurement, HR, legal, finance and more business functions to drive top-line growth and bottom line profitability in the cloud. The exchange is based on solutions from IBM’s Smarter Commerce initiative, which features software and services that help companies transform their business processes to more quickly respond to shifting customer demands in today’s digitally-transformed marketplace. The initiative is driven by leading organizations that want to deepen their relationships with their customers and secure greater brand loyalty and advocacy. 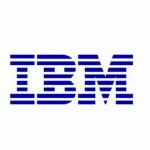 More information on Smarter Commerce can be found at www.ibm.com/smarterplanet/us/en/smarter_commerce/overview/. IBM is the global leader in cloud with an unmatched portfolio of open cloud solutions that help clients to think, build or tap into it. No other company has the ability to bring together unique industry knowledge and unmatched cloud capabilities that have already helped more than 30,000 clients around the world. Today, IBM has more than 100 cloud SaaS solutions, thousands of experts with deep industry knowledge helping clients transform and a network of 40 new centers worldwide global cloud delivery centers.